Now we live in a small but very beautiful country in a middle of Europe - in Luxembourg. Our small village called Born is surrounded by fields and forests, therefore dogs have an opportunity to enjoy long walks in nature daily. Earlier we lived in Latvia, Iecava area in a small district historically called Ziemeļi (translation from Latvian – North) – sounds promising, doesn’t it? We have a forest and fields in the nearby area, thus long walks in a fresh air have always been a part of our daily life. When we moved to our house, a decision followed – we need a dog :) We decided that we would like to do a good job – to adopt a dog from a rescue center, we were planning to have a medium / large dog, to have a companion for us and also a guard for the house. We went to a rescue center in Ogre (yeah, it’s a name of a city in Latvia!) where Merilina had arrived recently. She was a small, fully black puppy with funny big ears. After short resistance concerning our initial idea of medium / large dog, we left the rescue center together. Merilina took it as self-evident to be together with us, like it could have never been in a different way. She was expecting exactly us to be her family :) We decided – after some time we will take another, larger dog, but meanwhile we will have a joyful and alert companion at home. Willing to avoid mistakes in raising a puppy, I studied different resources about dog upbringing, training, breeding, behavioral models, health and caring. Accidentally I came across a breed called Rhodesian ridgebacks and they cough my eye. 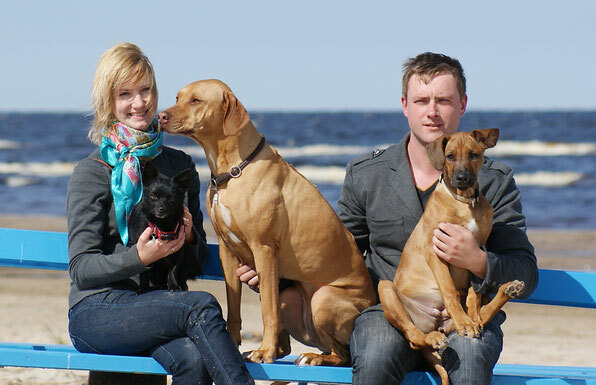 Later on I started to seek information exactly about ridgebacks, about their character, temperament, met with several ridgeback breeders in Latvia and got acquainted with these wonderful dogs. This time coincided with time when Merilina was diagnosed with a serious inherited illness and a surgery was needed. This was hard time for us, because she was just 7 months old and without the surgery her condition would get only worse. The surgery was successful and we did everything to ensure sound recovery and rehabilitation for Merilina. This situation strengthened our belief that the second dog will be purebred dog – I wanted to minimise the risk of inherited diseases taking a puppy from a reputable breeder, from a couple with health examinations done. In January 2008 Malozi Habiba gave a birth to 12 puppies – and a month later I visited the breeder Kristīne Liberta. At the moment when I saw livernose ridgebacks for me it become clear – I want exactly livernose puppy! A week later we visited Kristīne again to take a final decision. After playing Athena fell asleep on my lap – exactly she out of all puppy gang. Our decision was clear :) The Easter Athena spent already together with us at her new home. 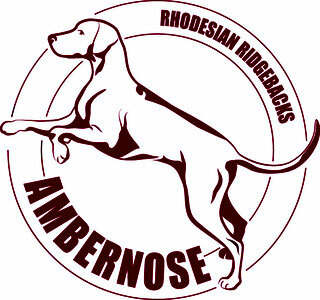 Within short time we were sure that Rhodesian ridgebacks are a special breed and we became true fans of this breed. While visiting many web pages devoted to Rhodesian ridgebacks I saw livernose ridgeback Hillwaley's Angel for Luanda. For me she was the most beautiful livernose RR girl in Europe :) I started to dream about having a puppy from her. After two years of waiting, a promising litter was planned – with a dog from Canada, Thornberry Akala. After serious reflections of our ability to commit ourselves for another RR we decided that some dreams should be fulfilled – and soon after that, in March 2011, we were coming home from Slovakia with a daughter of Ani and Akala – Dea. Couple of years after Dea joined our pack, we took a decision, that it would be a time to have a boy. A ridgeback boy, of course. A detailed investigation followed, I explored many planned litters. But somehow I did not came across Mr.Big… until I saw Garet. I liked a lot Garet’s father (already for couple of years) – Makao Line Atuin Art, who became best of breed in World Dog Show 2012. And Garet at the age of two months looked irresistible. So at the beginning of 2014 Garet joined our pack. In end 2017 we started to think about adding a female puppy to our pack but I had a hard time finding the right combination I would be interested in. In the very few litters I followed closely, the puppies did not quite meet my desires. In summer 2018 we came to Latvia to visit our families and also Athena's breeder Kristine Liberta, who had puppies at that time. And she had free livernose show girl! Exactly the one which in chats over web I had mentioned as my favorite. It was quite spontaneous and emotion based decision, but Diva is now with us and brings us lots of joy! More and more searching and reading information about canines I understood that this subject is realty interesting for me. 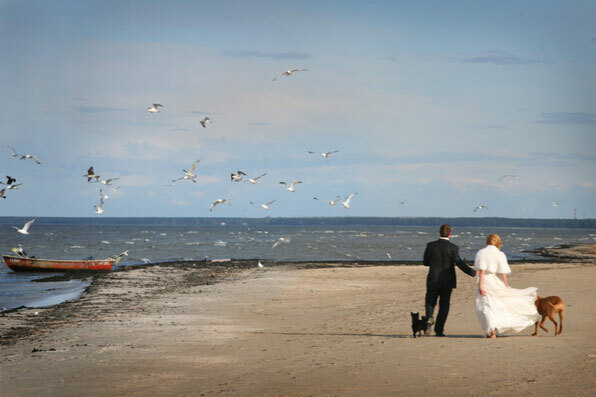 Therefore I enrolled in cynologie courses organised by Latvian Cynological Federation and I graduated with distinction. We are registered with FCI with a kennel name "MY AMBERNOSE". We are members of Luxembourgish Rhodesian Ridgeback club and respect ethical breeding, ethical showing and our dogs are our family members. Please feel free to contact us if you would like to meet us, to ask us a question or just to say hello - we allways reply!